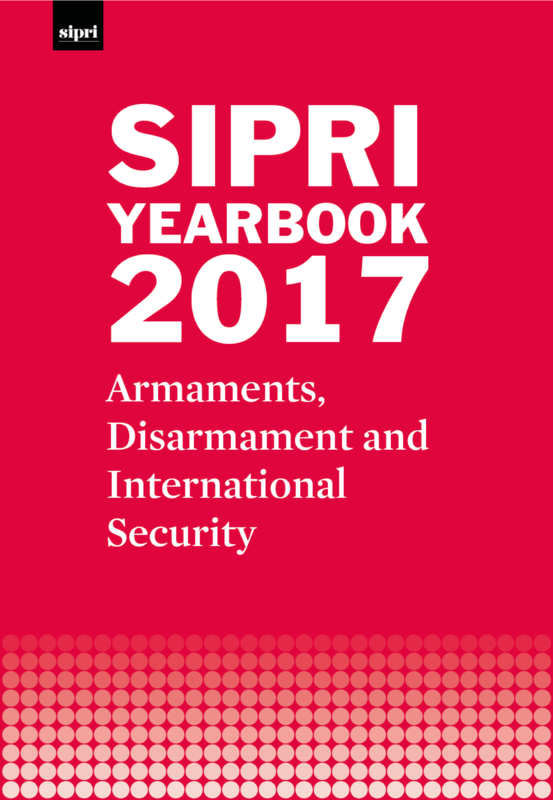 SIPRI Yearbook 2017 assesses the current state of armaments, disarmament and international security in the world. In addition to pre-released data on the arms trade, military expenditure and world nuclear forces, the new volume provides in-depth analysis on key topics including the latest trends in nuclear disarmament and non-proliferation, forced displacement in fragile contexts, and the sustaining peace framework of the United Nations. SIPRI, in partnership with the City of Stockholm, the Swedish Parliament/Riksdag, and the Swedish Civil Contingencies Agency (MSB), hosted the second Stockholm Security Conference with the theme ‘Secure Cities in an Insecure World’. The conference brought together over 200 researchers, practitioners and experts to discuss global security challenges, how these play out in cities and possible solutions. SIPRI’s research on the Black Sea region will focus on nuclear security issues in an area that has long been a hotbed for smuggling nuclear material. SIPRI is also running a regional security dialogue in the Black Sea region that aims to build confidence and engagement in peace and security issues. SIPRI, together with the Geneva International Centre for Humanitarian Demining this month released a new story map, ‘Twisted Metal, Broken Bodies’, as part of the GICHD–SIPRI project on the humanitarian and developmental impact of anti-vehicle mines (AVMs). North Korea conducted its sixth nuclear test on 3 September 2017. Robert Kelley provides analysis, taking a look at what we know so far. Off-budget expenditure is used to fund a large proportion of the arms purchases not captured in the current military expenditure data on South American countries. This backgrounder begins to address this issue, using Venezuela as the initial country case for improvement. Commenting on the newly launched Report of the Secretary-General on the situation in the Lake Chad Basin region, Florian Krampe argues that the report would have been stronger if it had highlighted the underlying environmental contributions of the region’s fragility. As the United Nations and World Bank prepare to launch a joint study on preventing violent conflict, Gary Milante and Hannes Mueller make the case for preventive action, looking at its overall cost benefit as compared with conflict response. SIPRI will co-host a two-day meeting with the United Nations Development Programme that will gather global researchers and practitioners to share experiences in social cohesion research and programming, discuss latest research and understand research gaps from the perspective of practitioners. Please contact Damir Esenaliev (esenaliev@sipri.org) for further details. The Article 36 Reviews and Emerging Technologies conference—hosted by SIPRI and in partnership with the Swedish Ministry for Foreign Affairs, the Dutch Ministry of Foreign Affairs and the Canadian Department of National Defence—provided relevant practitioners and civil society experts with an opportunity to learn about new technologies; discuss the technical, legal and operational issues raised by emerging technologies in the context of Article 36 reviews; and identify concrete solutions to help to strengthen compliance with the requirement of Article 36. As part of Debating Security Plus 2017 (26–28 September), SIPRI Researcher Florian Krampe moderated a discussion session on climate fragility. Participants shared their own experiences to enable direct learning of what works to successfully address the complex and overlapping risks that relate to climate change, livelihood insecurity and conflict. Please contact Florian Krampe (florian.krampe@sipri.org) for further details. The period 2014–17 was characterized by a number of major events in the field of arms control, non-proliferation and disarmament: the entry into force of the United Nations Arms Trade Treaty, the passing of the Treaty on the Prohibition of Nuclear Weapons (the Nuclear Weapon Ban Treaty), international efforts to confirm that Syria has fully declared its chemical weapons programme and is not using such weapons, and the Iran nuclear deal. This paper discusses these challenges and the role of the EU in each case. It also looks ahead and raises broader institutional issues that may impact the EU’s non-proliferation policy in the coming years. This paper draws from an online database 'Mapping ATT-relevant Cooperation and Assistance Activities' built by SIPRI and the UN Regional Centre for Peace and Disarmament in Africa in 2015 to cover sub-Saharan Africa, and expanded by SIPRI and the UN Regional Centre for Peace, Disarmament and Development in Latin America and the Caribbean in 2016 to cover Latin America and the Caribbean.